We are in full swing for late fall and Tackle Grab’s October box has some great goodies for bass anglers! This box was really cool because not only did Tackle Grab send some great baits, they also sent several items that can be used together. 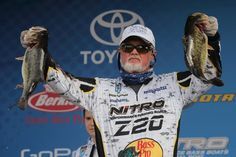 This is important for anglers who want to try out new presentations they may not have had the chance to earlier. Lets take a look! 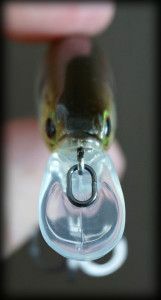 The chatterbait is traditionally a cold water bait. It’s a reaction bait that annoys the heck out of bass and entices them to strike. Many anglers see this bait as too loud or fast for cold water; but as a reaction bait, the chatterbait is deadly. 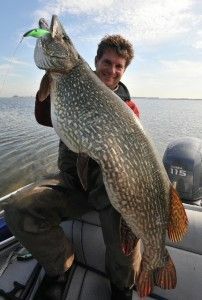 We have several contributors on anglingauthority.com that switch to this bait exclusively during the fall because it is so deadly and produces bigger fish in the fall. We received the 3/8-oz Chatterfrog in Lime Black Barb Wire. Retail on this bait is $7.19 and its well worth it! The Chatterfrog comes with two trailers in the packaging; but I often put a larger swimbait such as a Gambler Big EZ with a paddletail for more thump. 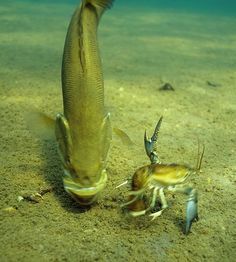 Fish cant resist this big, annoying bait. These are two items that you can use together to target bass. The Stupid tube measures 3.7″ and came in Watermelon and Green Pumpkin/ Black Flake. Both these colors are great for clear water smallmouth and perfect paired up with the Stupid Tube Jig head. Retail on the tubes is $2.05 per 4-pack. We were sent two of each color. The jig head was a 3/16-oz weight that is perfect for dragging over rockpoints or gravel. The packaging had clear instructions for rigging this jig up with tubes for novice anglers trying this out for the first time. Retail on the jigs is $2.04 per 2-pack. Designed by Kevin VanDam, the Flat Side Crankbait is built with a slender profile and flat sides to produce an erratic thump. This is another reaction bait that bass will hit instantly when worked over stumps or along weed lines. This bait weighs 3/8-oz and will dive 8 to 10 feet. 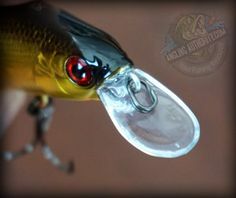 Since it is a crankbait, be sure to work this with a cranking rod and flourocarbon line. The color I received is a natural translucent finish that will work better in clear water applications. Retail on this bait is $5.79. For anglers who are unsure about what baits to throw, the October 2014 Tackle Grab box has covered you from slow to fast presentations. There is something for almost every bite you will encounter. I think Tackle Grab got it right again! I am pretty happy about the colors received as well. I wish the Chatterbait was a white one as I feel that is a more versatile color, but that is just my personal opinion. 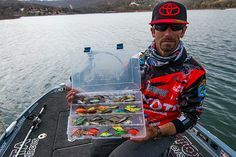 The KVD Flat Side Crankbait is a good color for clear water where I fish, but anglers fishing in murky water may want something brighter in their monthly boxes. I know that in the past I have received brighter colored lures, so it seems that Tackle Grab is sending different colors every month, which is a good thing. Tight Lines, and till next month!